Seriously, who DOESN’T LOVE CUPCAKES? (Oops, sorry. We shouted.) 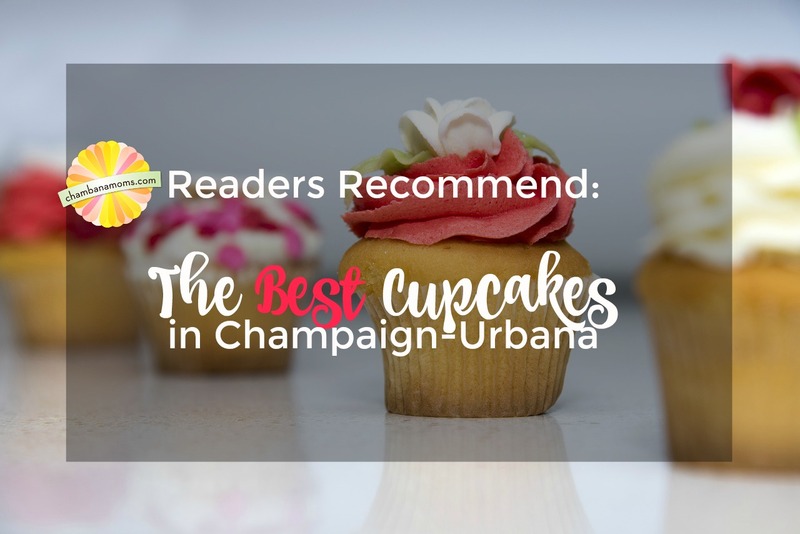 We’re lucky to have many options for cupcakes in Champaign-Urbana, whether it’s from a small specialty baker, a big grocery store or a small solo operation. What’s so great about cupcakes: they are the perfect sweet. You don’t need a special occasion to eat a cupcake. They don’t quite require the commitment that a full sheet cake does. They are also great for impromptu celebrations, especially when you don’t want to deal with cutting pieces of cake or bringing in plates somewhere. There’s simply no good reason NOT to eat them. Of course, when your child wants cupcakes that evoke Trolls but the local bakeries only have Smurfs, you need to call in a custom cupcake baker. While we have some fantastic local bakeries for cakes in the area, we know that cupcakes are a very different “animal” – and everyone has an opinion on what is the best. Without further ado, our readers have some recommendations for you! Editor’s Note: Chambanamoms.com does not endorse the businesses listed. We have taken these recommendations from our readers on our Facebook Page. “Cake Artist Studio, hands down! !” Had multiple mentions by our readers. “Hopscotch: Cakes & Confections They’re delicious!!! !” Had multiple mentions by our readers. “Cream and Flutter, Champaign” Multiple mentions. Did we miss your favorite place for cupcakes in Champaign-Urbana? Add it in the comments below!